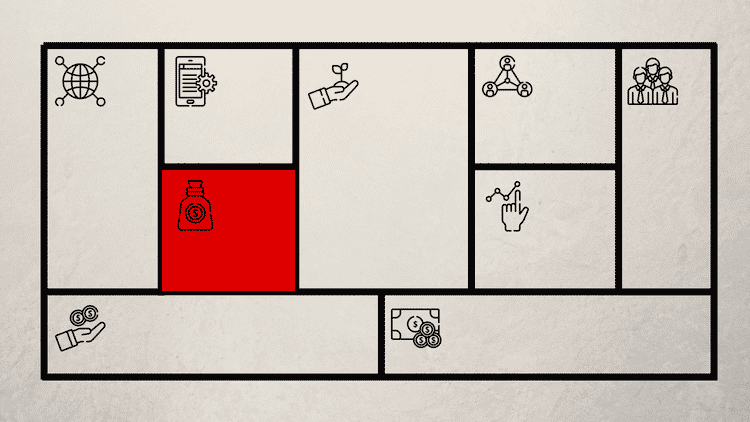 What are Key Resources in the Business Model Canvas? What Are The Key Resources Needed To Deliver The Value Proposition? You are here: Home / A Free Business Model Canvas Course / What Are The Key Resources Needed To Deliver The Value Proposition? The key resources overlap to a certain extent with tangible and intangible assets on the balance sheet. However it goes much further. In the Business Model Canvas, we only state those resources that make you unique compared to your competitors in the market. Let’s say you have a fashion outlet. You sell large quantities of overcapacity stock outside the city center. Your key resources are the cheap location with good access and contracts with fashion producers. In my analysis of the Google Business Model I identified Google’s key resources as the Index, the algorithm and its computing power. Computer power included – hardware, software and the engineers to writer the code and configure the software and hardware. In all three of these cases the companies have far more resources that they use. The resources that we focus on are the ones that are absolutely critical to the success of the business model. If you don’t have them you are toast. These are the tangible resources. For example, equipment, buildings, machines, transportation or distribution networks. Dell’s distribution network was a Key Resource, enabling them to deliver PC’s at home – years before others did the same. Physical resources are tangible things that you can touch and feel. For a company distributing beer in rural Kenya the key resources could be the lorry and a reliable supply of petrol. In contrast for a logistics company in the UK the key resources could be the route planning software and the warehouse automation system. Both companies do something similar but the market and the competitive environment mean that what they see as key resources are quite different. Human resources are the people that you need to do the work. People are often how you transform key resources, through activities in to the value proposition. In most cases human resources are either bodies or knowledge. When I ran a food delivery operation we needed lots of motorcycle delivery riders. We weren’t really concerned about the quality or the skill set of the people. We just needed enough of them who could ride a bike and had insurance. An even starker example would be the West Indies sugar plantations. Slaves were imported from Africa and put to work in the plantation. Output was correlated to the number of slaves on the plantation not to their willingness, strength or knowledge. In contrast knowledge is all about particular domain knowledge or relationships. A consulting company’s key resource may be the lead consultant’s knowledge of economics that he has acquired over 30 years and won a nobel prize for. Conversely it could be a different consultant’ rolodex of all the property developers he has drunk whisky and played golf with over the same time period. Many businesses need cash for operations or capital projects. If you are going in to chip fabrication or jet engine design you need scads of money to invest in the research, development and plant construction. As a startup going into a new category, for example like Uber, then money becomes a critical key resource as you can use your wall of money in a land grab as you attempt to build market share ahead of competitors. When I build a business model there are two or three ways of deciding the key resources. The first is the simplest. I look at what other similar companies are doing and look at their key resources. Then I tailor the current business model to reflect how other companies in the industry work. This is a safe middle of the road approach. It’s not desperately interesting but you have a reliable outcome. Alternatively you work backwards from the key activities in the business model. Here you have worked out what it is that you need to do in order to deliver the value proposition. Then you work on what you need to have in order to deliver the key activities. You can think of it like building a bridge. You know you have to design the bridge and construct it. What are you going to need to design it? Engineers and Architects. What are you going to need to construct it? Building materials, planning permission, construction equipment and more engineers. The final approach is to look at your value proposition and decide what are the resources that you need in order to make it happen. If I wanted to build a search engine for recruiters then the key resources would be a search engine and a large number of CVs. My key activities would then ask how do I get these and make them accessible to recruiters in order to generate revenue. One of the things that I love about the business model canvas is that it makes it easy to open your eyes to more possibilities. The key resources is great for this. As an entrepreneur you always have a choice of make, rent or buy. This depends on your appetite for risk, expected returns and available cash. If you were Airbnb you coud decided to build your own custom website and have everything just the way that you want. You could pay another company a monthly fee to whitelabel their commercial product, or you could buy an existing room-sharing website and rebrand it. Airbnb decided that it would make it’s website. Uber decided that it would not make its own cars. Instead it would rent them an the drivers. You can make this decision with all your key resources. In fact if you don’t make this decisions then you are missing a trick and could make significant improvements to your business as a result. You can apply this to all your key resources. These are your Key Resources. Add these to your canvas. This free course is in 10 lessons – each with a video and accompanying text. It describes how the business model canvas works and how to use it.